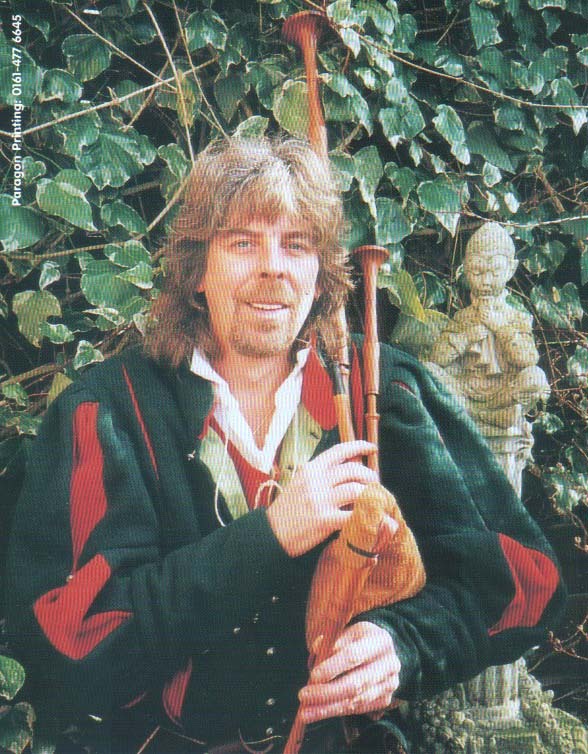 Multi-instrumental minstrel playing medieval, Tudor and 17th Century music on borderpipes, renaissance recorder, pipe and tabor, smallpipes, symphony, harp, bone pipe, Ud (fretless lute), crumhorn, cittern, high & low whistles, hurdy gurdy, bowed psaltery, gemshorn, double pipe, English bagpipes & many more! 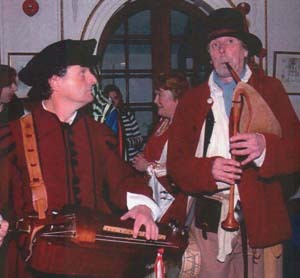 Historical music performed in authentic period costume for banquets, weddings, fayres, markets, clubs, festivals, schools, corporate events, films, etc. 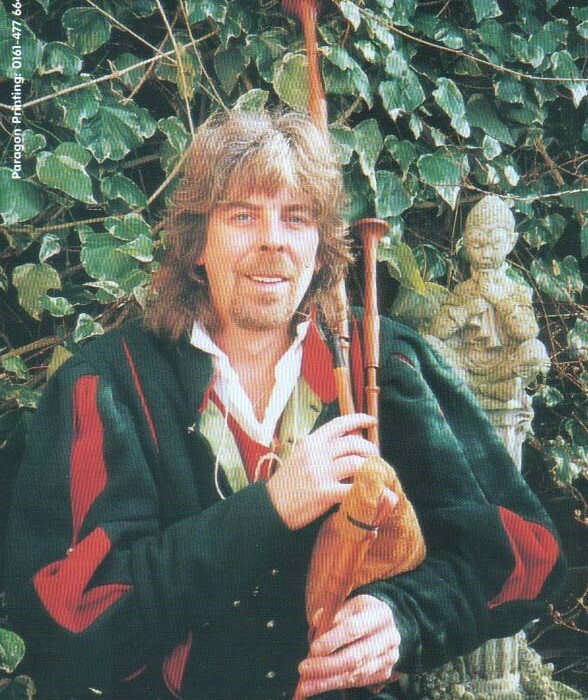 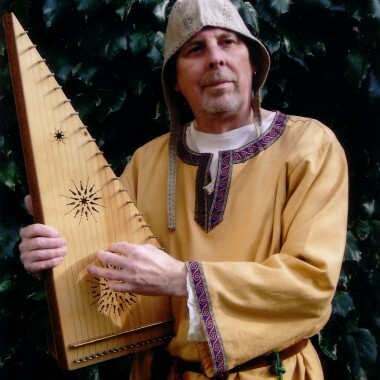 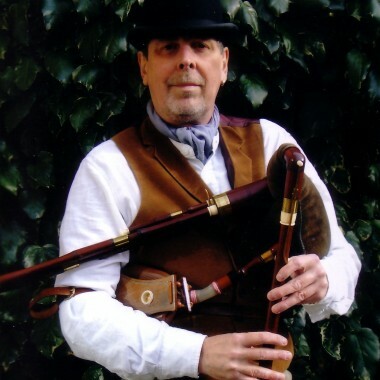 Trevor James can also give instrumental demonstrations and talks on a large selection of musical instruments for schools, museums or re-enactments. 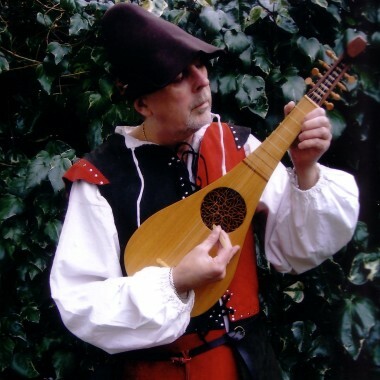 In addition, he can also provide a round pavilion tent for events if required and can supply other performers including expert longbowman, jousting, juggling and brawls (simple dances).